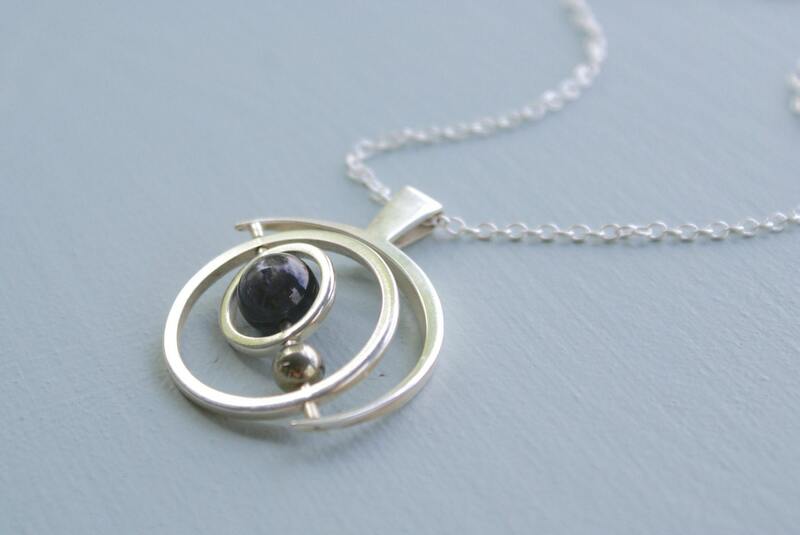 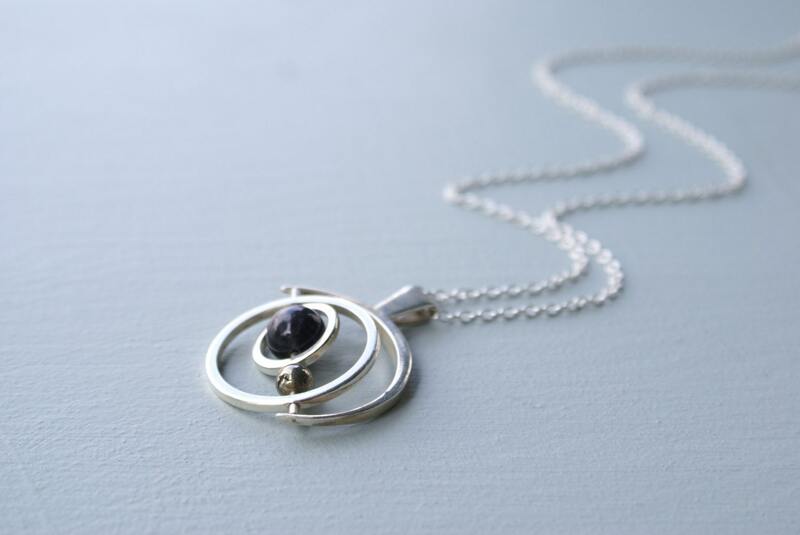 A sleek sterling silver frame curves around two silver spinning rings and holds within a stunning iolite and a littler pyrite bead. 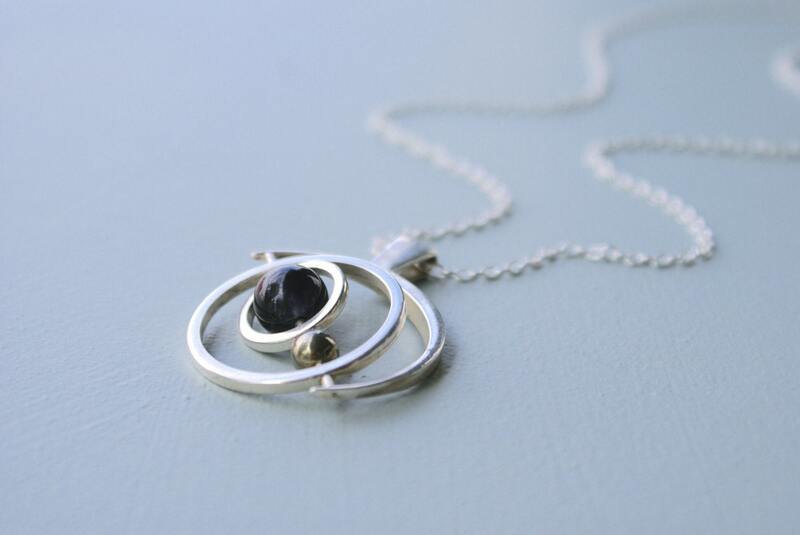 The frame suspends the rings with a steel pin, allowing the rings to rotate freely a flick of a finger. 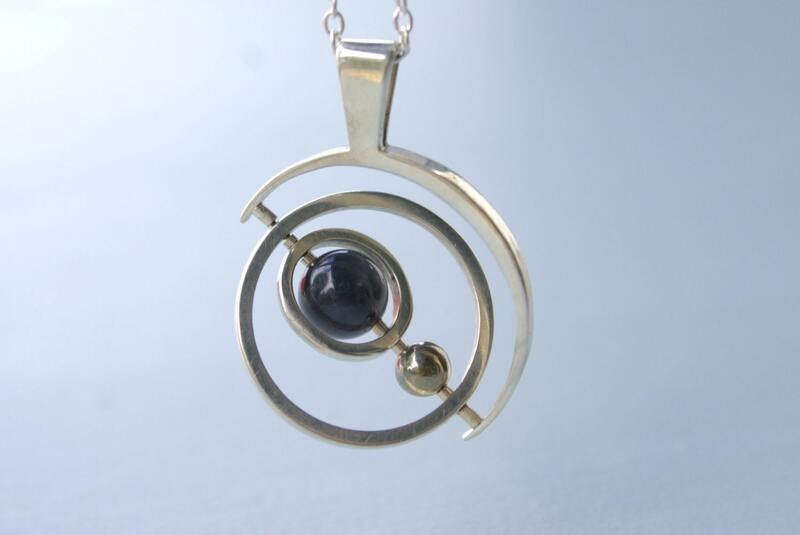 This gyroscope pendant comes on a 30" sterling silver chain with a hand formed hook closure. 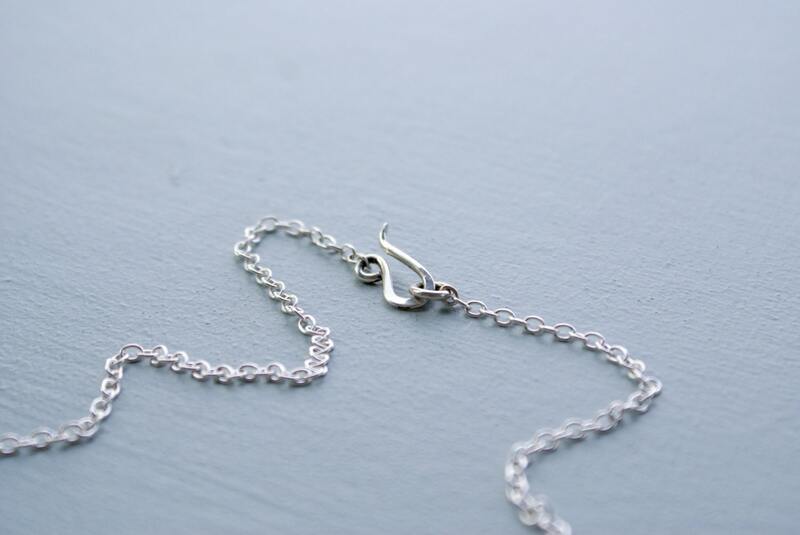 It The measures about 1.5" across and 2" tall.